Washington, D.C. - U.S. Senator Pat Toomey (R-Pa.) is urging the Trump administration to consider exempting 13 Pennsylvania employers from another set of costly and counterproductive tariffs. On July 6th, the administration began imposing a 25 percent tariff on $50 billion worth of goods from China. As a result, Pennsylvania manufacturers are shouldering a new 25 percent tax burden on certain component parts. 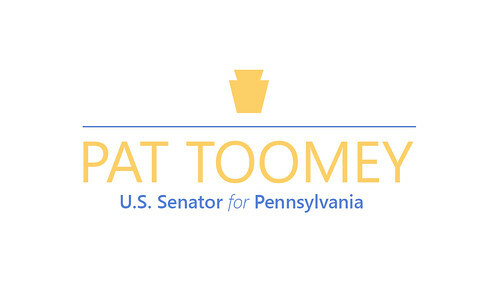 In a series of letters to U.S. Trade Representative (USTR) Robert Lighthizer, Senator Toomey urged a full and fair review of all exclusion petitions by Pennsylvania companies. A company may seek an exclusion from this tax if demand for a necessary item cannot be met by a domestic firm. Approving these exemptions will help American employers remain competitive globally, stated Toomey, who also called attention to Beijing's retaliatory tariffs against American exports. "While USTR's tariffs are meant to target some Chinese imports that benefit from Beijing's industrial policies, such as the ‘Made in China 2025' initiative, many of these tariffs will have a pronounced negative effect for American manufacturers," stated Toomey. "Section 301 tariffs are direct taxes on American consumers and producers. They directly reduce American purchasing power, curtail freedom, impede job creation, and limit production." Read one of the letters here. On a similar trade issue, Senators Toomey and Bob Corker (R-Tenn.) introduced bipartisan legislation to require congressional approval of tariffs designated under section 232 of the Trade Expansion Act of 1962. In April 2018, Senator Toomey also called on Commerce Secretary Wilbur Ross to exempt numerous Pennsylvania businesses from the section 232 tariffs on imported steel and aluminum. The safety of the American people is too important. I urge my colleagues to vote for the Stop Dangerous Sanctuary Cities Act. The death of the famous musician lifted the issue of opioid abuse to the front pages, but it has been a major concern of mine since I came to the Senate.